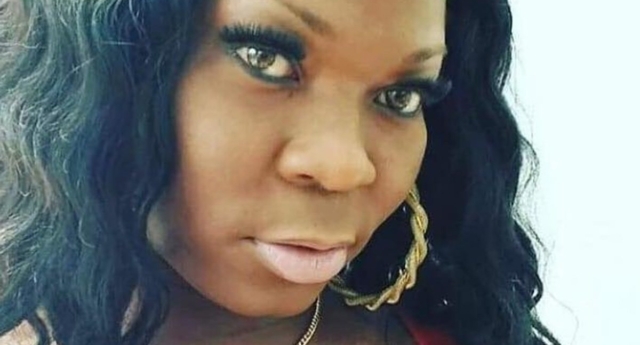 The fourth trans woman murdered in the US this year was misgendered by authorities, meaning that her death has only just come to the attention of media outlets. Celine Walker, 36, was found shot to death in a motel room in Jacksonville, Florida. She was pronounced dead on February 4, meaning that she was the second trans woman to be killed within a week. However, police reports misgendered Walker and used her dead name meaning initial reports did not recognise her trans identity and caused the announcement of her death to be delayed by over a week. Florida authorities have been slammed for misgendering Walker. Naomi Michaels, a close friend of Walker, wrote that there were “several parts” of her story “that disturb me very much”. She wrote: “Jacksonville is home to some of the most amazingly talented Transwomen I know. Michaels went on to explain that as a trans woman, Walker led a careful life to protect herself. “Celine was not a pageant girl. She didn’t even enjoy going to gay clubs or events. “She lived a low key life where she did whatever needed to be done in order for her to survive,” she added. Michaels finished by calling on her friends to contact the local media as well as Jacksonville’s Sheriff’s Office to correctly report on Walker’s death. Friends of Walker and Michaels wrote that they were sickened by her death. “This is disturbing,” one person wrote. “She was beautiful,” a third added. Last week, 35-year-old Tonya Harvey was shot to death on Shepard Street in Buffalo, New York. Harvey was killed at around 5:30pm on Tuesday 6 February. The victim, known as Kita to her friends, died at the scene, on a dead-end street just a few miles from the Canadian border. Harvey’s murder follows the killings of Christa Leigh Steele-Knudslien, who founded the Miss Trans America pageant, and Viccky Gutierrez, who was burned to death in Los Angeles. Christa Leigh Steele-Knudslien’s husband, Mark Steele-Knudslien has been officially charged with her murder after he walked into a police station and confessed to murdering her. Christa Leigh was found wrapped in bedding, plastic sheeting and tar pooling in the basement of their home. She had been stabbed a number of times, with the blood loss leading to her death. Steele-Knudslien entered a not guilty plea during his arraignment. Viccky Gutierrez was brutally murdered on Wednesday (January 10) in the morning. Bamby Salcedo, a friend of Gutierrez and founder of the [email protected] Coalition said that she was “such a sweet girl”. “She was our sister,” she added.